How do you seamlessly marry sophistication and value?—two utmost qualities that consumers of all creeds desire. Those who manage to offer a product, rolled up in one, that satisfactorily answers that question succeed in doing the thing that everyone wants to do: create a unicorn. Take, for example, the merger of Marriott and Starwood that occurred in mid-2018—two respected hotel brands that couldn’t be more different than each other. Loyal customers from both sides had to grapple with how well Starwood, which, with their W and St. Regis brands that have long stood for edgy and contemporary sophistication, would integrate with Marriott’s brands, such as its namesake and Courtyard, Sheraton and Residence Inn, that have long stood for great value. It turns out all that hand-wringing was for naught. It was a genius move—creating the most powerful and also most popular hotel brand in the world. In other words, a unicorn. The 2016 PRESCRIPTION Chardonnay, now just in its second vintage, may very well prove to be that elusive wine unicorn. 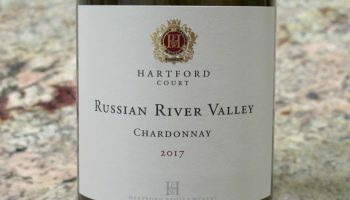 Its $19.99 SRP is slightly higher than the regular consumer wants to pay for an everyday Chardonnay but it’s way lower than what you would expect to pay for a Chardonnay once you taste it. Looking at the wine’s deep saturation of honey yellow in the glass, expectations are already startled. Nose in the glass, the rich and deep notes of ripe jackfruit and yellow apple, along with a distinctive stoniness, turn moderate expectations into anticipation. And then on the palate: fullness of body, taut tannins, controlled power, creamy smoothness and that enticing richness of fruit. It’s all delivered brightly, only to fade out on an elongated finish. C’mon!—what an impossibly great Chardonnay for the price! The first vintage for this wine, the 2015 (see our prior review below), was a crowdpleaser. This new vintage is more artsy and complex in character. Amazing sophistication at great value. A high class experience at a reasonable price. It’s a classic-to-be for California Chardonnay (with a screwcrap). Do you believe in unicorns? –J.M. Ridiculously and amazingly rich, the brand new PRESCRIPTION Chardonnay is virtually a slap-in-the-face to moderation and modesty. This is no ordinary Chard. Unchilled, put your nose to the rim, and what you get is a decadent whirl of apricot preserves, honey, ripe peach, yellow flowers and a hint of ginger. For fans of the Bordeaux dessert wine Sauternes, it’s a familiar bouquet. The wine’s color is a deep honey yellow—much more substantial in color saturation than your everyday Chardonnay. Served chilled, as most people would have it, the wine takes on a more floral, citrusy and feminine character. Alcohol level is 14.8% and counting, and the wine’s extreme viscosity lives up to the data. Texture is creamy, luscious… bold, intense flavor covers the palate alongside broad tannins and a prominent note of minerality. Really, this is just shy of a late-harvest wine when it comes to how luminously ripe the fruit is and just how full-bodied this is for a Chardonnay. The wine finishes long and lingering, on a note of delectable, golden fruit. Just begging for a pairing with halibut, sea bass or shellfish—but hold the butter! Or just sip it on its own to oblivion. At an SRP of $19, who’s responsible for this madness? And would you believe this kind of wine is 100% steel-fermented (with oak treatment)? Winemaker Robert Lloyd is formerly of La Crema and Rombauer, and the grower is James Reamer, whose vineyard lies along California’s Sacramento River Delta, classified under the Clarksburg AVA—don’t feel bad if you’ve never heard of it, or if you never even knew they made wine in Sacramento County. The wine is an Rx for extraordinarily priced decadence. One is unlikely to find Chardonnay like this on the market at this price, and it just might be the work of insane and insatiable genius.